Quality sleep isn’t something college students are used to getting, but with the best twin xl mattress topper, it’s possible. DormTopper from Beloit Mattress Company provides a plush, breathable layer on top of your lumpy (gross) dorm mattress so you can get the sound sleep you need for better grades. Find out why this dorm room mattress pad is better than the rest, and learn how you can get yours. With all the distractions in college, it’s no wonder you’re always tired. You’re meeting new friends, worrying about assignments, and maybe even working on campus. But your brain can’t function on frappes alone. You need 7-8 hours of sleep per night to comprehend what you learn in class and to stay healthy, and here’s how DormTopper can help you get it. Whether you fall into bed after a long night of studying or you stumble in from a super fun frat party, you’ll drift straight into dreamland on this cozy handmade mattress topper. Three layers of comfort — silky bamboo, soy-based gel foam, and pure joma wool — provide the perfect combination of cushiony comfort and support so you can wake up feeling like you actually slept. If you try to put a twin mattress pad on top of a twin xl mattress, it just won’t work. Either your feet or your head will hang off of it, and it will slide around throughout the night. Beloit makes the best mattress topper for college beds because they fit dorm beds perfectly, and with straps on all four corners of your bed, you don’t have to keep pulling it back into place. Does your dorm have twin beds? No problem. We sell mattress pads to fit those too! You’ve seen some of the sweaty, dirty students in your classes or walking around campus. Now imagine them sleeping on your bed! Ewww! Not only does our dorm room mattress pad form a barrier between you and your nasty mattress, but it also prevents germs from settling into the mattress topper. 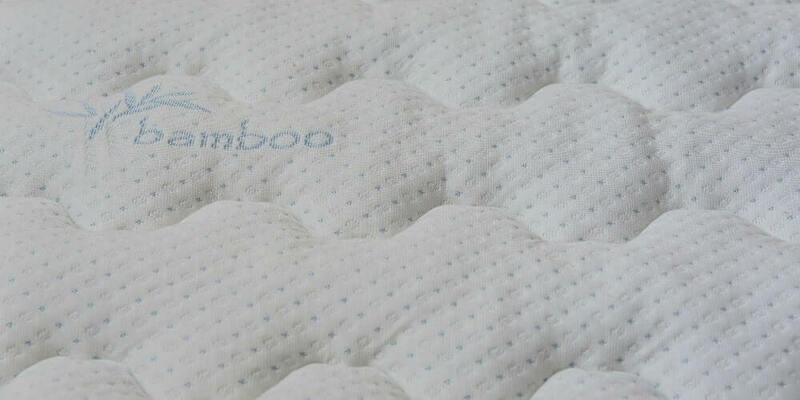 The top layer of silky bamboo fabric is naturally antibacterial and moisture absorbent. Pure joma wool is hypo-allergenic and dust-mite, mildew and mold-resistant so you don’t have to worry about what’s lurking in your mattress pad after several weeks. Our gel-infused cooling foam is soybean-based and CertiPUR-US certified, so you can rest easy knowing you’re not breathing in toxic chemicals as you sleep. The Best Twin XL Mattress Topper is Only a Click Away! What college student has time to shop for a mattress pad? Use whatever free time you have to hit the coffee shop with friends and order DormTopper while you wait in line! Just think, next time you have a day off of class, you can enjoy a nap on a bed that’s actually comfortable! Visit us online and have our handmade dorm mattress pad delivered to you!